When people enquire about home loans at Smartline Rockingham, they eventually need to make a choice between a fixed rate loan and a variable rate loan. In today’s climate with record low interest rates, it seems like a foregone conclusion to many that they will try to lock in the fixed rate loan for as long as they can. However, there are more considerations than just the current interest rate. 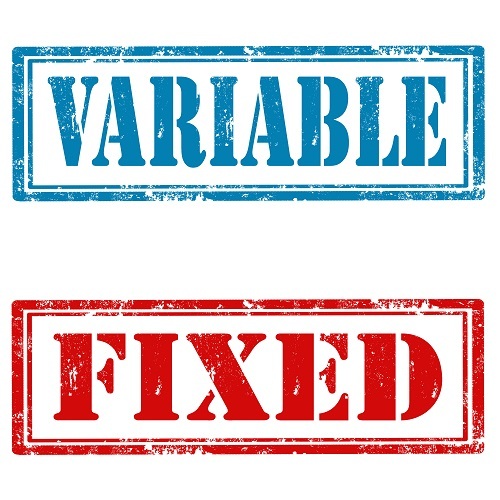 Here are the ins and outs of fixed rate and variable rate home loans. A fixed rate home loan allows you to fix the rate for a period of one to five years. Right now, the biggest advantage is that we are in a period of record low interest rates. It isn’t likely that the rate will be lowered further. This allows you the opportunity to lock an unprecedented low rate in for five years. The other main benefit of a fixed rate home loan is that you know exactly what you are going to be paying for the full term of the loan. This makes it a lot easier to budget because you know what you are going to be paying. If you happen to be paying a record low rate and the rate rises, it doesn’t affect you. You get consistency and the great feeling that comes from knowing your rate is a bargain. Why Choose a Variable Rate Home Loan? However, there are some caveats that that come with a fixed rate loan. If the rate does go lower, you can’t take advantage of it. Also, fixed rate loans often have high break fees which penalise you for paying your loan off early. If you plan on selling your home, for example, it isn’t wise to get a fixed rate loan. Also, fixed rate loans often don’t allow extra repayments. The rate of a variable rate home loan moves with the market but it provides greater flexibility and better terms. If you want to make extra payments or plan on selling your home, you may choose the variable rate loan. Whichever choice you make, we can help you find the home loan that is right for your individual situation. To learn more, call Smartline Rockingham today: (08) 9527 1800.